There is more than one artist with this name: 1. 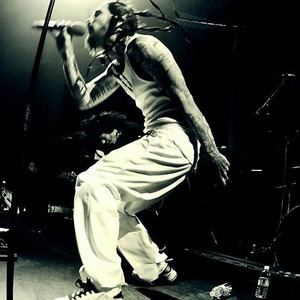 Brian Phillip Welch (born June 19, 1970), better known as Head (although the official name of his solo project is Brian Head Welch), is an American musician best known as the former one of two guitarists of Korn, and a major influence in the rise of the nu metal movement. Welch left the band in 2005 due to contrasting personal beliefs, to focus on life as a father and a born again Christian. He has since embarked on an eponymous solo project, of which his debut solo album, Save Me from Myself, was released on September 9, 2008. 1. Brian Phillip Welch (born June 19, 1970), better known as Head (although the official name of his solo project is Brian Head Welch), is an American musician best known as the former one of two guitarists of Korn, and a major influence in the rise of the nu metal movement. Welch left the band in 2005 due to contrasting personal beliefs, to focus on life as a father and a born again Christian. He has since embarked on an eponymous solo project, of which his debut solo album, Save Me from Myself, was released on September 9, 2008. 2. A Bristol, England-based band called Head existed in the late 1980s and included Gareth Sager (ex-Pop Group, Rip Rig & Panic, Float Up CP), and Nick Shephard (ex-The Cortinas, The Clash (mk 2), and The Spics), and Rich Beale (aka Clevedon Pier on Head's albums). They released three albums between 1987 of which the first - 'A Snog On The Rocks' - is the best place to enjoy their skewed, melodramatic, cabaret-inflected Pub Rock. 3. A "ramones-core" Seattle punk band ('90s - present) associated with Goner Records as well as their own Evil Clown Records. 4. A jazz rock / fusion band from Glasgow, who during the mid / late 70s issued 3 albums entitled GTF, Blackpool Cool and Red Dwarf. Highly recommended, yet obscure jazz rock fusion from an 'unlikely' source.